Hey guys! I’ve been busy moving and starting classes for the semester, but ever since Jennifer McGuire and Joy decided to do a seven-day stamp challenge where they used the same Hero Arts stamp each day for seven days, I’ve wanted to try this for myself. Thankfully, the fantastic Hero Arts Flickr group came to the rescue and paired me up with the fantastic Jennifer from Random Acts of Cardness. So today (and for the next three days), we’ll both be featuring a card on our blog using the same stamp from Hero Arts. Supplies: Cardstock- Papertrey Ink (Kraft), Stamps- Hero Arts (Friend Definition CG125 and CG340 Birthday Sayings), Lace Ribbon- Hero Arts (CH231), Border Sticker- Crate Paper (Restoration line), Washi Tape- from PrettyTape on Etsy, Ink- Tsukineko (Brown Memento) and Ranger (Antique Linen and Vintage Photo Distress Ink by TIm Holtz), White Pen- Signo, Corner Rounder- WRMK. I hope you enjoyed my card for today! I’ll be back with another one for our fun challenge on Friday and Saturday. I’m off to go check out Jennifer’s blog for today to see what she created! Cards for Kids Blog Hop with Lawn Fawn! 1000th Tweet Giveaway and a Card! Hi Brit…I’m loving how you used the Friend Definition…terrific layered-look. Love the Hero Arts lace ribbon, such a perfect finish! Heading to Jennifer’s blog….. Thanks for the visit to my blog. My paired-up partner and I will be starting our challenge on the 20th. Hello Brit. Your card is beautiful. 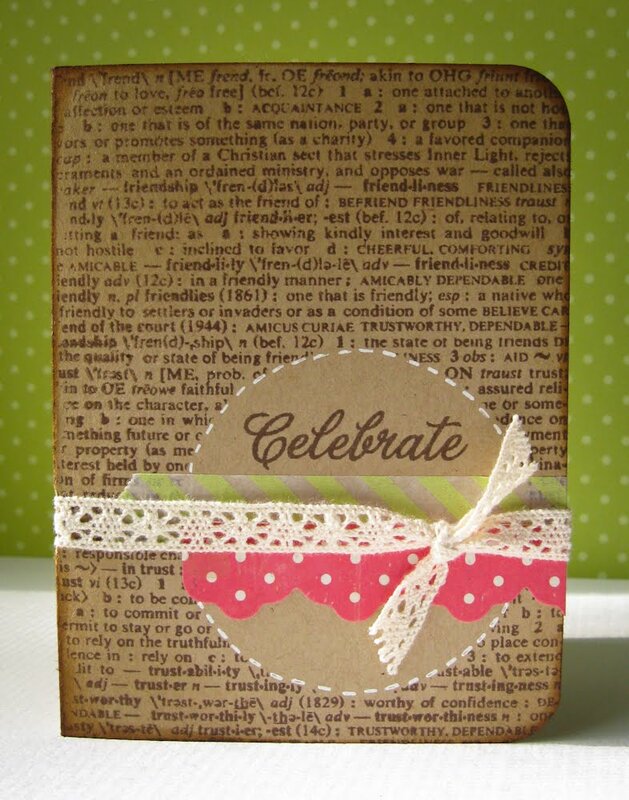 I especially love the way you used the sentiment and that gorgeous lace ribbon! Hi Brit! Love this card! So cool the way you used the Friend Definition! I love the lace ribbon and pop of pink from the border sticker! 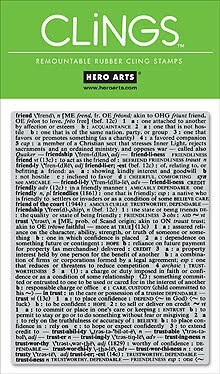 Love the friend definition and the use of the lace. Nice!!! Hi Brit! 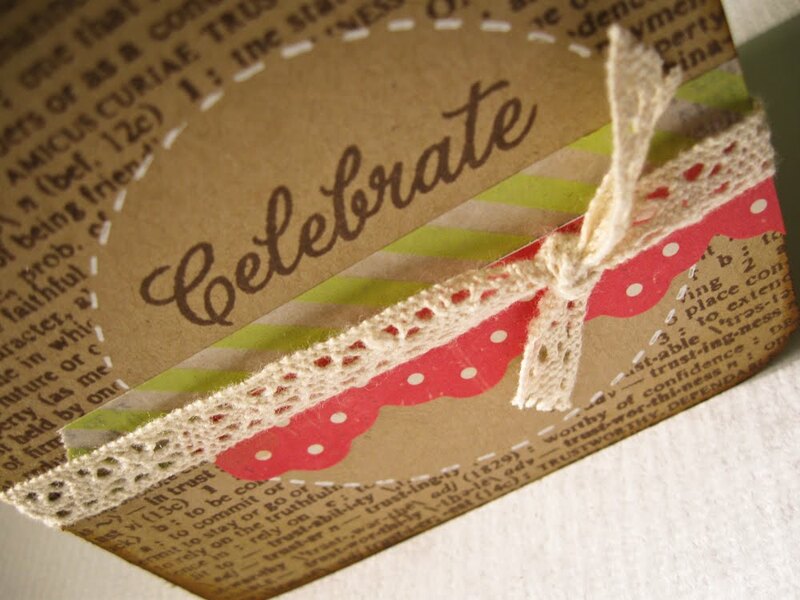 Great card – I love the lace ribbon, I can hardly wait to get mine in the mail now too! Beautiful colors, loads of charm. Your masking came out fabulous!